Access control is a key component in protecting your premises, maintaining business continuity, and ensuring employee and customer safety. Our access control systems are installed in some of the most prominent locations in North Wales, and we have earned the trust of professionals and businesses throughout the area. Access Control Systems can be integrated into a comprehensive security plan that involves aspects of physical layout like electronic locks, intercom systems, video surveillance systems, lighting and heating systems. Strobe Security Solutions has the ability to work with you to create a solution that is ideal for your business – regardless of whether you need one-way access, or multiple entry points. All access control systems provided by Strobe are scalable. Through our exceptional engineering, product benchmarking, and experience, we can help determine what type of security system is best for your unique needs and environment. We are Gold registered installers of Paxton Access Control Systems. Paxton are a market leader within the access control industry with their two types of systems, Paxton Net2 (an network based access system) and Switch2 (a standalone access system). Our Access Control Systems are available in North Wales (Anglesey, Conwy, Denbighshire, Flintshire, Gwynedd and Wrexham) and Chester. Safeguard company assets: Limit clearance for critical areas to only people with a need for access. Manage Security from a central location: Multiple systems can be linked to a central server that allows access points to be monitored and user databases to be managed from the one location. Automatic doors for a number of our customers are the face of their business; therefore, we know how important it is for them to be operating correctly providing convenience for all your customers. At Strobe we also know how first impressions are often the most important, that’s why we always work closely with all of our customers in order to select the best outcome for any business. We install and repair a range of doors including automatic sliding doors, automatic swing doors and automatic bi-fold doors. All of our doors comply with the current Disability Discrimination Act (DDA). 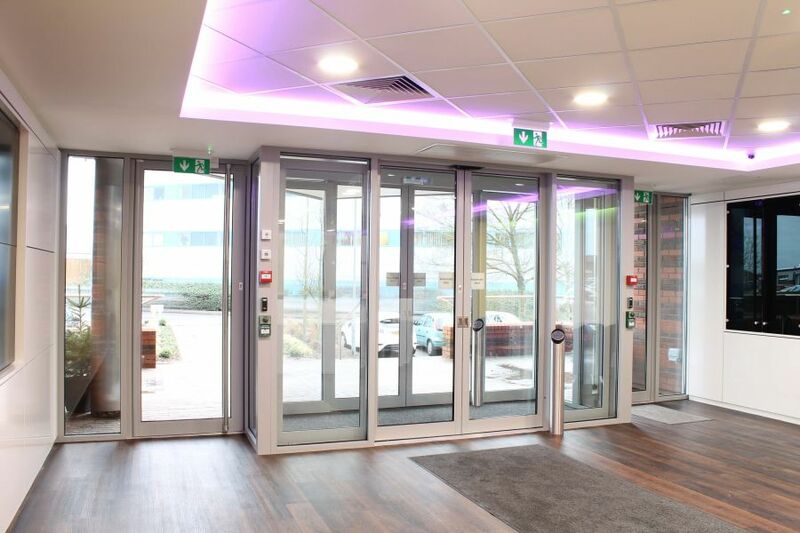 We can install automatic door openers to a majority of existing swing doors. Contact us today to arrange a free site survey with one of our automatic door specialists.